These corrugated plastic signs are great for short-term advertising. 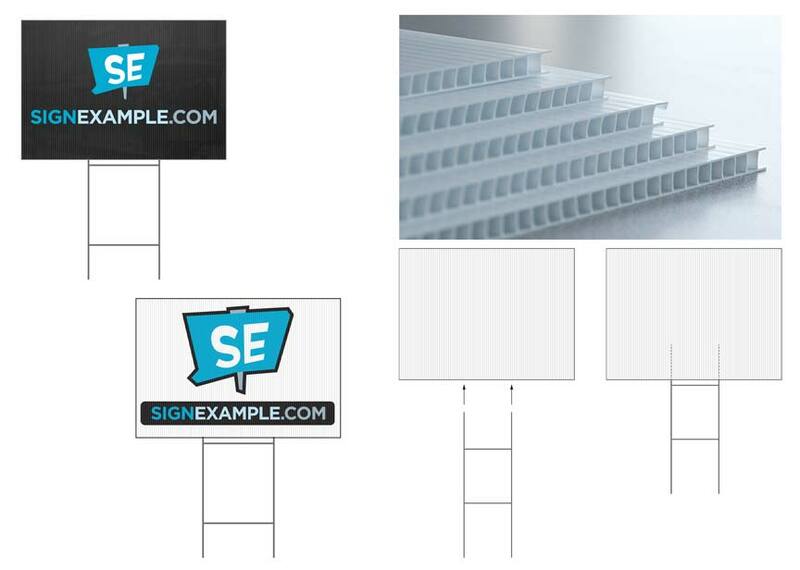 Do you need the Yard Signs cut to a shape other than a standard rectangle Yard Signs? Do the Yard Signs need to be double sided? Are you aware that Yard Signs do not have a smooth surface? Do the Yard Signs need to have vertical flutes for H-stakes? Is coroplast the correct material for these signs?